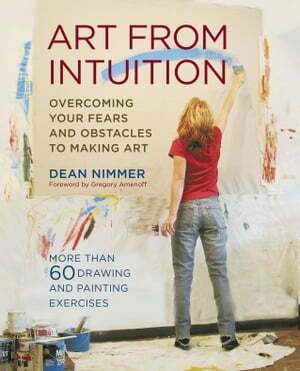 Collins Booksellers - Art From Intuition by Dean Nimmer, 9780307829375. Buy this book online. Practical self-help for artists who want to free their creativity. Art from Intuition offers artists everywhere a unique system for freeing their own creative intuition, the sixth sense that directs an artist’s drive and work. By letting go of the self-criticism, doubt, and insecurity that discourage artmaking, artists will be able to soar to new heights of creativity. More than 60 practical exercises take the reader from the most basic intuitive art to more sophisticated techniques. Each exercise, supported by step-by-step instructions, is accessible to artists at every level, and the exercises can be done in any order. After each chapter, readers are encouraged to follow up by evaluating their drawings or paintings to see how they reflect their own personal goals. Works of art by students and contemporary artists exemplify how exciting and how productive a freer, more intuitive approach to making art can be.